One of the finer points of Italian style isn’t found in fashion boutiques or art museums, but over cocktail hour. After all, in a country where wine flows like water, drinking is a true art. And, like any art form, it has its own set of rules and etiquette. Heading to Italy? Here’s how to sip in style… Italian style! Italians take their wine seriously. That said, they’re here to enjoy it—and far from snobby, are usually rather laid-back about choosing a vintage. Wine is meant to go with food, after all, so it is often simple… and relatively cheap! For this reason a nice house wine isn’t necessarily a terrible wine (and it’s usually better than what you’d find as a house wine in most other countries). Plus, it tends to be a local variety. Start with the basic rules, like to pair red wine with meat and white wine with fish, and ordering local wines, and you’ll be off to a good start. Try a classic Chianti in Tuscany, a Valpolicella in Veneto, a Nero d’Avola in Sicily and a Pinot Grigio or other white wine in Friuli-Venezia Giulia. 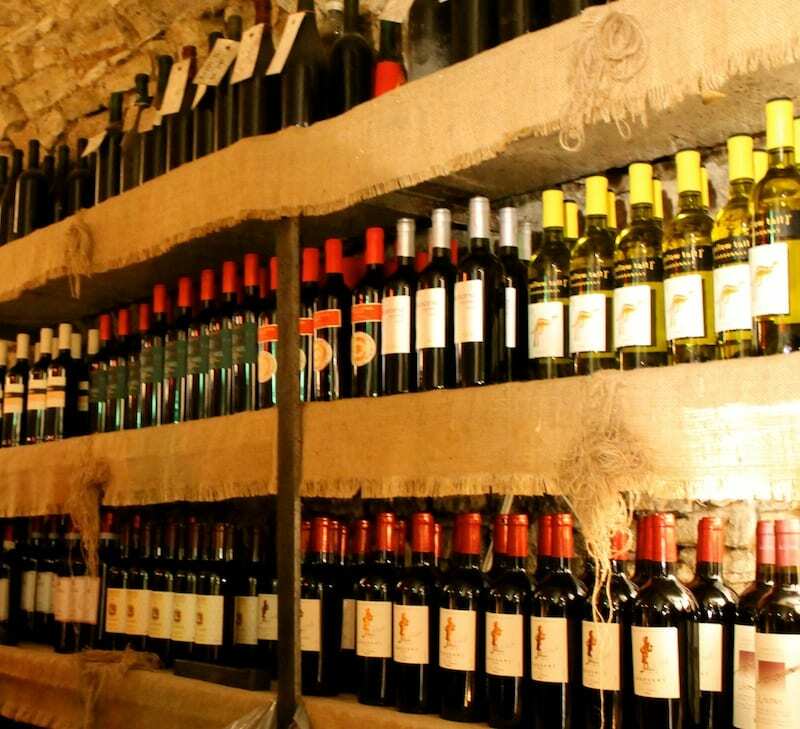 For more, don’t miss our non-stuffy traveler’s guide to Italian wines. While less historically popular than wine, beer is another appropriate alcohol for lunch or dinner. And it’s a must for a cookout or for a pizza night with friends! The famous Italian brands Morena, Moretti and Peroni have been around for a while. Much more excitingly, however, is that microbrews are becoming trendy, with small, local craft brewers popping up around the country. (There are now more than 500 breweries nationwide). Italian craft brewers typically use high-quality, local ingredients, applying much of the experience gained from wine-making to their beer brewing. Head to a birrificio and you can be sure that you’re getting a decent local brew! We like especially like Birra + at Via Alessandra Macinghi Strozzi 14 in Rome or Birrificio Lambrate at Via Adelchi 5 in Milan. The aperitivo is Italy’s answer to the happy hour: Starting around 7pm and ending around 9pm, pay a flat rate for a drink and you are welcome to eat all you want from the various appetizers offered at the bar. 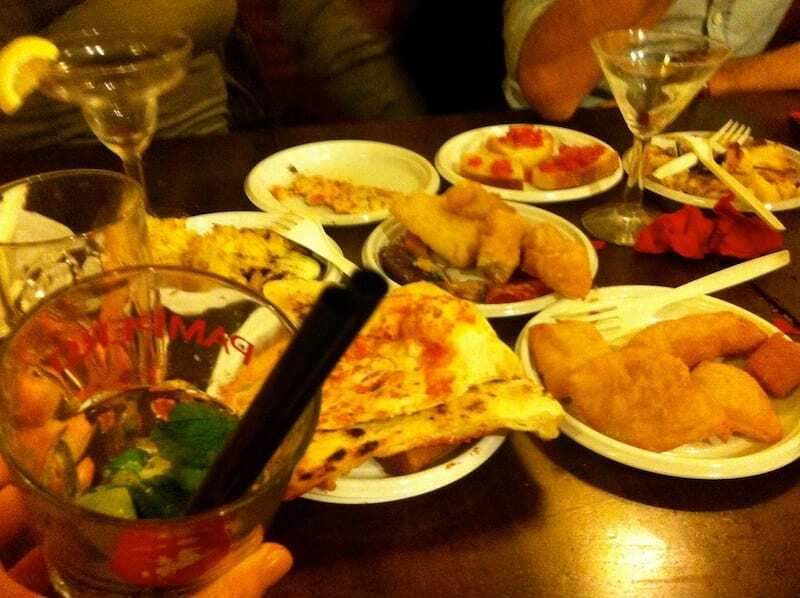 (Here’s more about aperitivo in Italy). 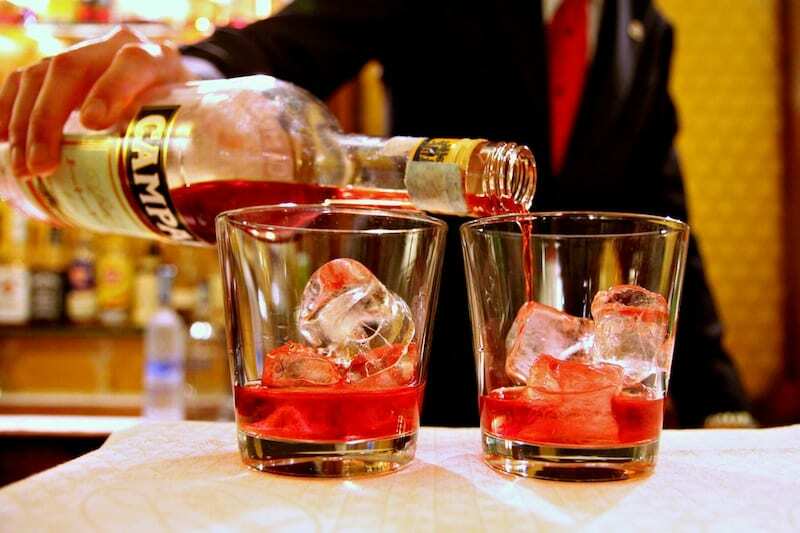 Campari – Invented in Italy in the 1800’s and still produced today in Milan, Campari is a bitter made with liquor and infused herbs and fruit. It’s used as the base of many Italian cocktails, such as the Negroni and Americano. Aperol – A liquor nearly identical to Campari, Aperol is much less bitter and has a lower alcohol content. Negroni – Perhaps the easiest to make for its 1:1:1 ratio, this drink is made of one part gin, one part red vermouth and one part bitters, traditionally Campari. Sbagliato – A negroni sbagliato, or negroni incorrect, has a fantastic story to go with this fantastic drink. They say that a bartender in Milan at the famous Bar Basso accidentally grabbed prosecco instead of gin, mixing equal parts prosecco, red vermouth and bitters. Before he could throw out the drink, the guest approved of it’s taste and the negroni sbagliato (sbah-lyee-ah-to) was added to the cocktail list! 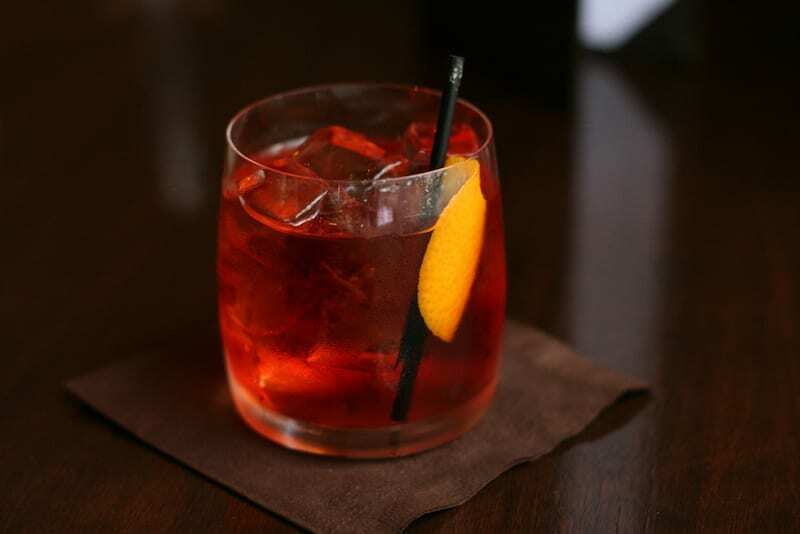 Perfect for an aperitivo or even a brunch, the negroni sbagliato is still as popular as ever. Americano – The bright red Americano is made with part Campari and part red vermouth, with just a splash of soda water. Its name is supposedly a nod to the American customers who seemed to like the drink so much, but is enjoyed by many an Italian during happy hour, too! Spritz – An especially popular aperitif in northern Italy, Spritz is made with a sparkling wine like Prosecco, a dash of a bitter liquor such as Campari or more commonly Aperol and finished with sparkling mineral water. 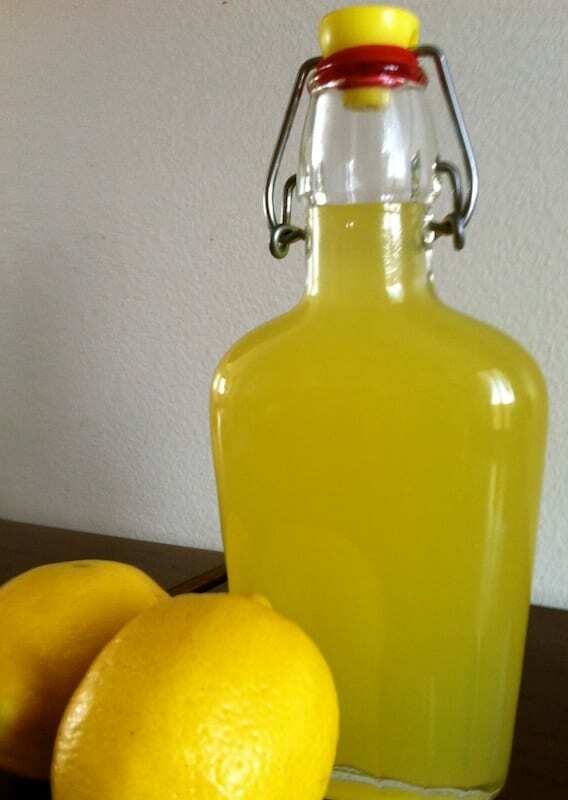 This is a must-drink when in Venice, where it is abundant and cheap, and perfect for cooling down by the water on a hot day! Martini – A vermouth cocktail (made, of course, with alcohol from the Martini & Rossi brand headquartered in Turin, Italy, surely not with an imported brand!) and mixed with a sparkling wine. Martini is a cool classic, great for the hip bars of Milan. Having a “digestive” refers to the Italian tradition of drinking an after-dinner drink to help digestion. Unlike the aperitivo, which is often dry or bitter to stimulate an appetite, a digestivo can be bitter or sweet. Amaro – Italian for “bitter,” an amaro is made with dozens of different herbs and roots that vary based on type and brand. Grappa – A shot of grappa will definitely get things moving after a heavy dinner or to start a long night. A (very) high-proof wine liquor made from grapes, this drink is all Italian: It has to be made in an Italian territory to be considered true grappa. Try adding it to your espresso in the morning for a caffe corretto to start your day off right! Italians don’t consider alcohol as something that should be vilified, but as a natural and acceptable part of life, one that they want to celebrate and do right. What’s your favorite Italian drink? Let us know in the comments! Valpolicella is in Veneto not in Lombardia. You’re right Sara, thank you for catching that! We’ve updated the post with the correct information. I really love reading your articles! You always give great advices to travellers with your personal style! While if I am going to have a pizza with friends I tend to try local artisanal beers. There are many good breweries popping around in Italy and now I guess every region has its own beer personality. 🙂 Moreover many beer-related festivals are becoming even more popular during the Summer! One of my favorite things to do when traveling beside eating is drinking. It is a must for me to try the local beverage when I visit a new place. Too bad I was not able to stay longer in Italy when I backpacked through Europe. But When I do, I would definitely remember these tips. Ciao! A few years ago in Florence I found Amaro and it was love at first sight !! Grappa is another favorite but I need to be very careful with it lol. I love your articles there getting me ready for my next trip.